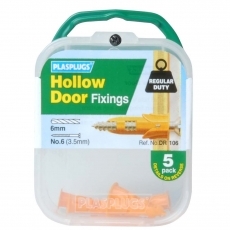 5 x Hollow Door Regular Duty Fixings for use in Hollow Doors, Thin Skin Partitions, Plywood and Fibreglass. 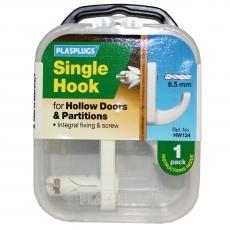 Ideal for the home, boat and caravan. 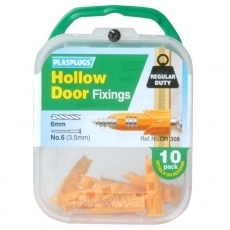 10 x Hollow Door Regular Duty Fixings for use in Hollow Doors, Thin Skin Partitions, Plywood and Fibreglass. Ideal for the home, boat and caravan. 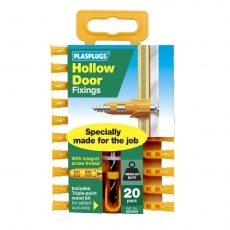 20 x Hollow Door Regular Duty Fixings for use in Hollow Doors, Thin Skin Partitions, Plywood and Fibreglass. Ideal for the home, boat and caravan. 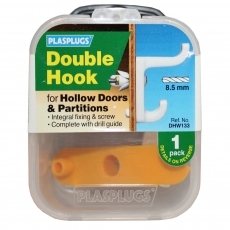 Includes Tripple-point wood bit for added accuracy. 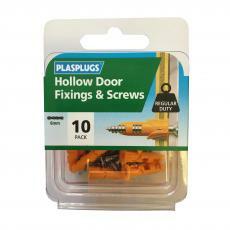 10 x Hollow Door Regular Duty Fixings & Screws for use in Hollow Doors, Thin Skin Partitions, Plywood and Fibreglass. Ideal for the home, boat and caravan.